Mom's Gone Bronson! : Got Milk? 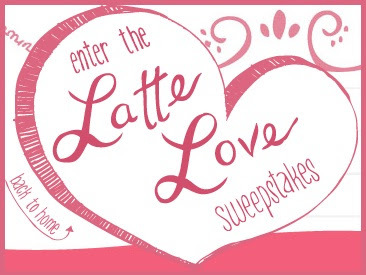 Enter the Latte Love Sweepstakes! Hop on over to the 'Milk Mustache Campaign' Facebook fan page and "like" them to enter their 'Latte Love' sweeps! They're giving away one Latte Lovers Essentials kit PER HOUR plus one Keurig brewing system per day! What are you waiting for? Go HERE and take your chances! *disclaimer: I am in no way associated with this promotion, its hosts or their campaign. I was not monetarily, or otherwise, compensated for sharing this sweep with you!